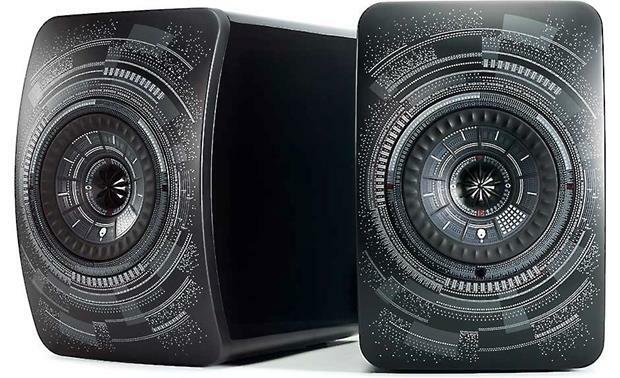 The Nocturne edition is a visually striking version of the KEF LS50 Wireless speaker . 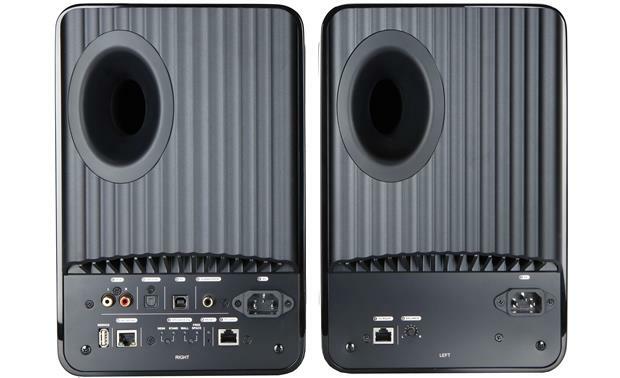 KEF LS50 Wireless Nocturne Edition - Yep, you saw that right. They glow in the dark. 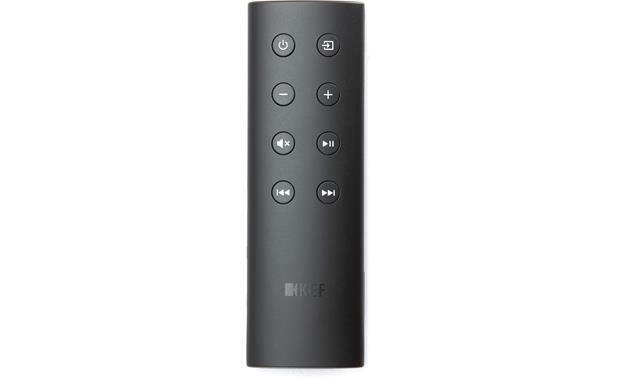 KEF LS50 Wireless Nocturne Edition - Uni-Q Driver Array technology makes your entire room sound like the "sweet spot"
The Nocturne edition is a visually striking version of the KEF LS50 Wireless speaker. 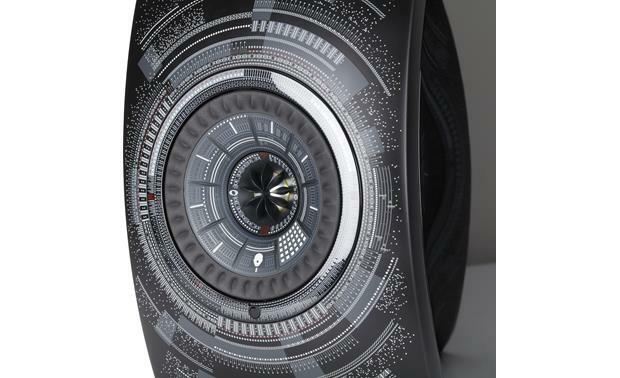 Visionary Dutch designer Marcel Wanders created a limited-edition design that wreaths each Uni-Q driver in art inspired by the structural elegance of music. And they glow in the dark, which pretty much maxes out the cool factor. 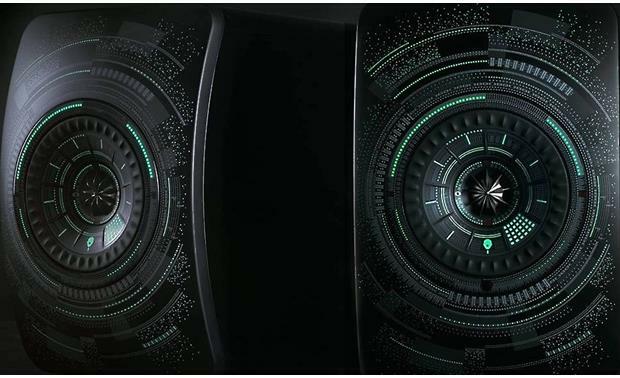 Glow-in-the-dark KEF LS50 Wireless Nocturne edition speakers make an impressive visual statement. "Something for audiophiles, something for mainstreamers — after all, it's in the LS50 Wireless' DNA. As a straddler of worlds, the KEFs walk away not only with a Knockout Award but also DAR's Product of the Year award for 2016. 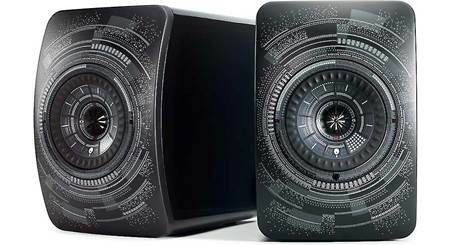 If this product doesn't convince audiophiles of the legitimacy of active loudspeakers, nothing will." 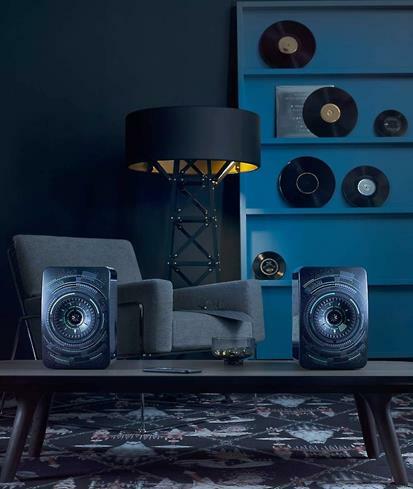 LS50 Wireless speakers come in three attractive colors, as well as the out-of-this-world Nocture design, so they'll delight your eyes as much as they do your ears. 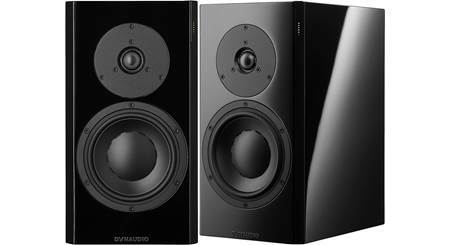 Each has a curved front baffle that adds a touch of elegance to your shelf or speaker stands. Even the most design-conscious homeowner can find a prominent place to display these beauties. 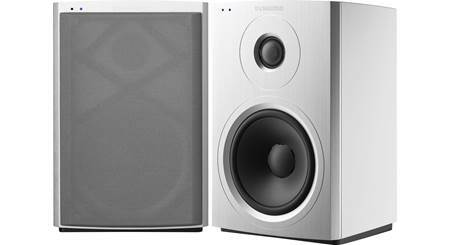 Quick and easy to set up, stunning sound and still only breaking in....really, I could not be happier, both with the KEF's and with the Crutchfield customer service - my first purchase - from start to finish Anthony couldn't have been more helpful....!!!! 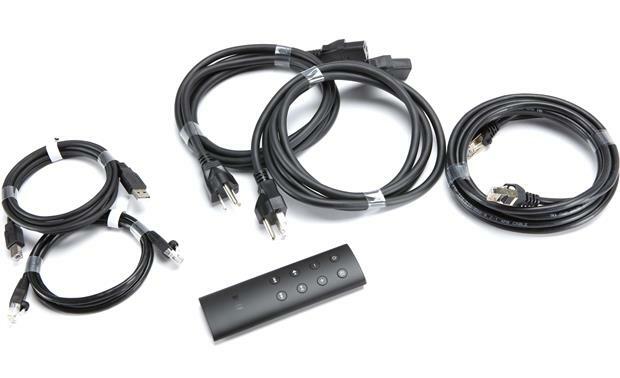 How do you get the Nocturne LS50W to do the glow in the dark thing? 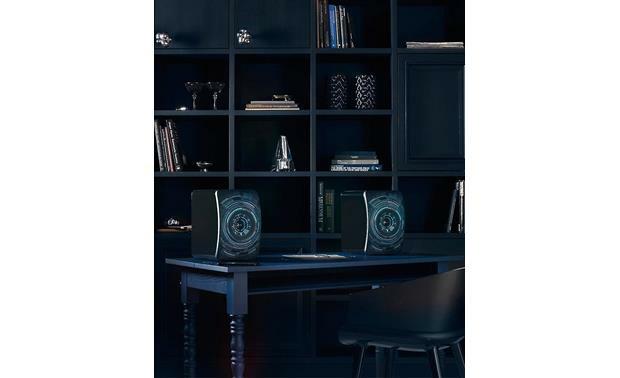 "Nocturne" by Marcel Wanders: KEF has collaborated with the globally renowned design studio Marcel Wanders to produce a special-edition speaker, the LS50 Wireless 'Nocturne' by Marcel Wanders. 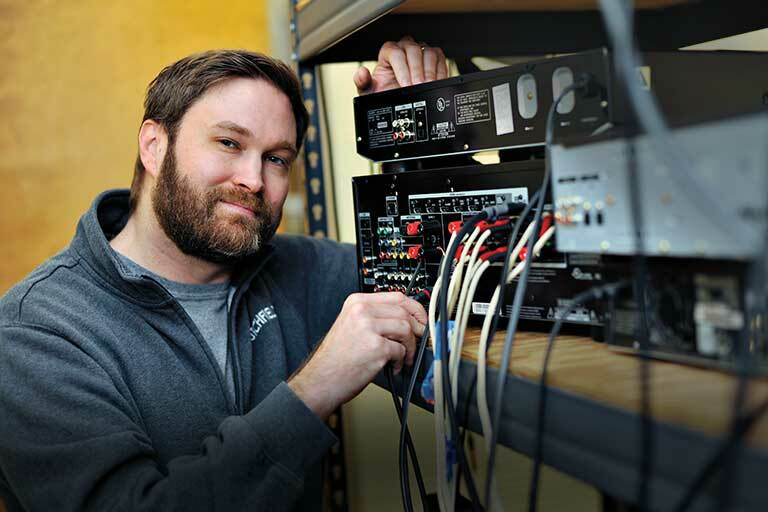 Its sensuous aesthetic quality sets it apart from every other music system, creating a magically compelling audio system that is in a class of its own. Marcel Wanders is a leading product and interior design studio located in Amsterdam, credited with 1,900+ iconic projects. Marcel Wanders works with premium brands such as Alessi, Baccarat, Bisazza, Christofle, Decorté, Flos, KLM, Hyatt Hotels Corporation, Louis Vuitton, Morgans Hotel Group, Puma, among scores of others. Under Marcel Wanders' creative leadership and direction, and with the support of Gabriele Chiave as creative director since 2014, Marcel Wanders employs over 50 design and communication experts. Marcel Wanders' 27 years of designs are celebrated in some of the most renowned museums in the world, including the Centre Pompidou (FR), MoMA (US), and Stedelijk Museum Amsterdam (NL). Marcel Wanders' chief concern is bringing the human touch back to design, ushering in what he calls design's "new age"; in which designer, craftsperson and user are reunited. In his process, Marcel Wanders defies design dogma, preferring instead of focus on holistic solutions rather than the technocratic. In this universe, the coldness of industrialism is replaced instead by the poetry, fantasy and romance of different ages, vividly brought to life in the contemporary moment. Rhythmic Design: The rhythmic design that is inspired by the circular arrangement of time presents a structured, architectural-type pattern from a distance. Upon closer inspection, the two-dimensional, textured surface reveals several different types of musical elements layered throughout. Placed around the center focal point, musical notes and symbols references add to the seemingly unending depth of the thoughtfully detailed design. Much like a musical composition, the final result finds the surface shapes coming together to create one unified design. Playing off the product name, when the lights are turned off the product continues to captivate late into the evening as selected elements glow in the dark. You must need a black light-it didn't work for me either. I had the same concern. If you turn all the lights off in the room and allow your eyes to accommodate to the dark, you'll see a faint glow. It's nowhere near as bright as the promo photos show. Hit it directly with an LED light for a few moments (15-30 seconds), don't expect a blinding glow though. The film used on the skin for the GiD can only do so much at that thickness. Super Cool look though. 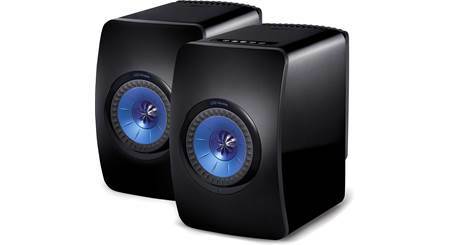 Searches related to the KEF LS50 Wireless Nocturne Edition High-performance powered speakers with Wi-Fi® and Bluetooth®.